The site is located in Kouloura, Larisa, and is inside a land of 18000m2 of surface. A kiwi plantation covers 10000m2 of that and within the rest 8000m2 rests the building/facilities. At last but not least, basis our client needs we can accommodate/cool store larger quantities of products in third party facilities. Our goal is to match supply and demand on time at a low possible cost for our clients. We co-operate with specialised logistic partners and with our consolidation services we are able at any given time to find the most suitable solutions for any demand we receive. We have the ability to do full tracks or containers loads whether is mix of fruits or stand alone product as well as consolidation of shipments of smaller scale pickings (normally by air), assuring the arrival on time, by offering customised solutions by ocean, air freights or trucks. 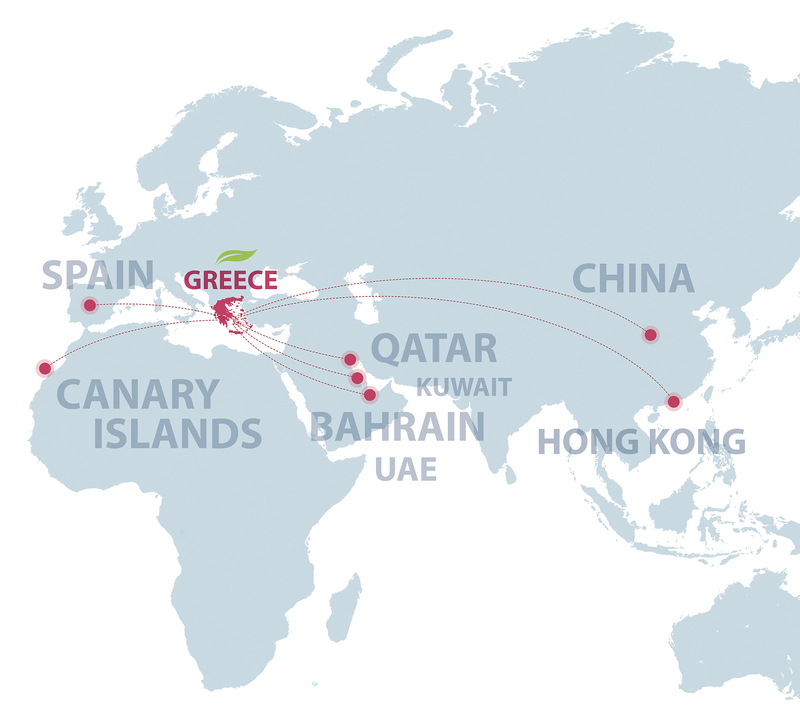 Symphonia’s biggest supply markets are the Middle East Market, Canary Islands, Spain, Hong Kong and we are looking to expand our operations in markets like Canada, USA and more countries of the EU.